The New Wave serving spoon by Villeroy & Boch: style, elegance and refinement in a design spoon. Sometimes it is a small detail that makes the difference, and a meal will certainly be successful if the table is set with care and attention. This serving spoon has a sleek, modern design that emphasizes its shape also studied in the smallest detail. All the shine of stainless steel is embodied in an item of undoubted charm that always manages to give a touch of class to every table. The serving spoon is 235 mm long and weighs 0.092 kg. Thanks to the high quality of the material, this product is dishwasher safe. It can easily fit in any crockery set, with a similar style or also with a completely different one, creating countless combinations. It is perfect for serving contours of vegetables and legumes thanks to its conformation designed specifically to carry out this function in the best way. 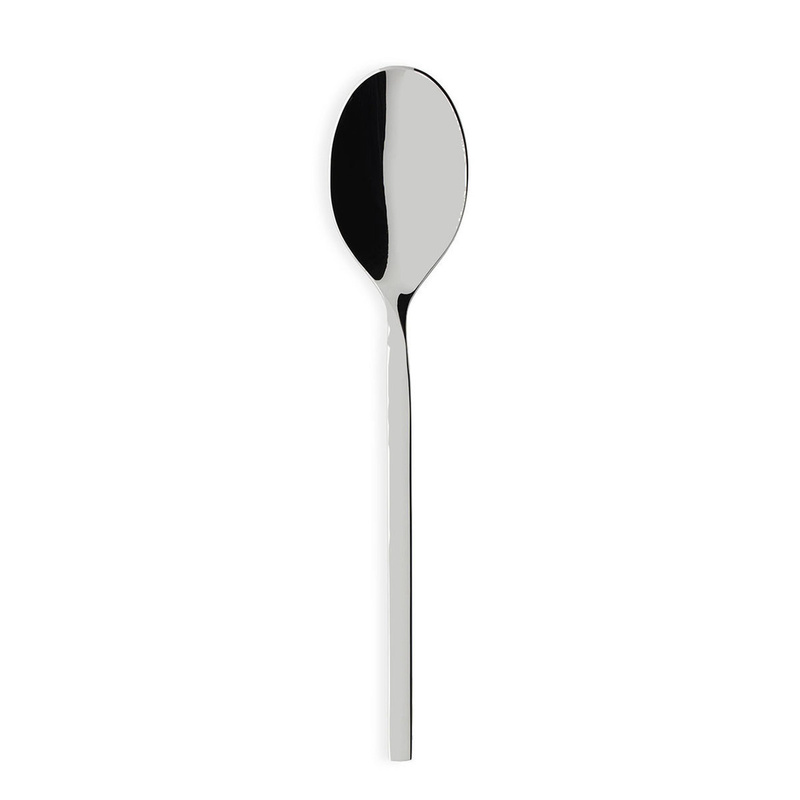 Aesthetics and versatility blend in this item creating a high-design serving spoon which is also extremely practical. Whether we like to use it every day or just on special occasions, we will always add a further touch of style to our table. The Villeroy & Boch Group was born in 1748, and it has become successful thanks to the production of objects for the kitchen, the bathroom and also artistic tiles. The collections by this brand have set the trends in this field in many cases. All these products are the roots of the most skilled design object that are on the market today and the result of cutting-edge manufacturing processes. With the purchase of a Villeroy & Boch article you will possess an evergreen model that will never go out of style.